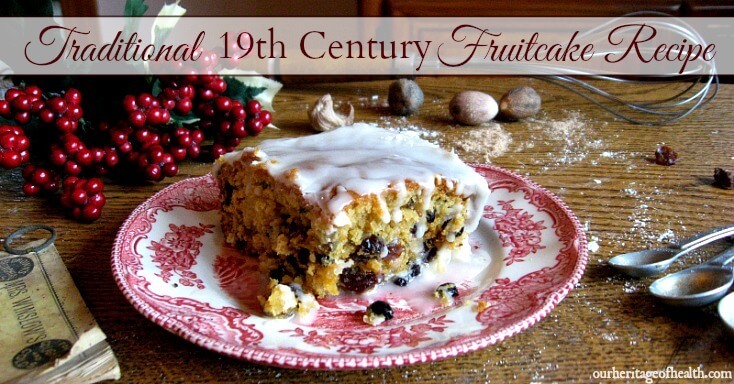 This traditional 19th century fruitcake recipe is a rich and buttery spice cake with plenty of fruit and citrus to give it nice a festive flavor. And of course you can never go wrong with a generous drizzle of lemon-flavored icing too! Fruitcake usually has a pretty bad reputation these days. It’s the gift nobody wants to receive, the dessert still left on the table after all of the others are gone. It’s often made fun of in holiday movies, and if someone thinks you’re acting a bit crazy, they just might call you a fruitcake. Growing up, I had never heard anything positive about fruitcake, so I always assumed it must be a pretty disgusting dessert. Every picture I had ever seen of fruitcake looked like a solid blob of cake with bright red and green things stuck in it. Not exactly very appealing. 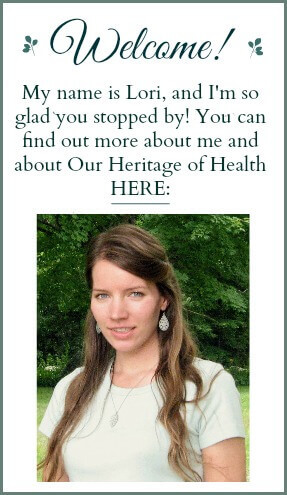 I had pretty much decided that I had no interest in ever trying fruitcake until I went to Old Sturbridge Village last winter at Christmas time. And yes, just like my change of opinion about chestnuts, Sturbridge Village completely changed the way I think about fruitcake, too. In a cozy 19th century-era kitchen with a fire blazing in the hearth, I was greeted with the wonderful aroma of a freshly-baked fruitcake. On the table was a plate heaped with samples still steaming with warmth. After my first incredible bite, I was hooked. I came back to that kitchen three or four more times that night, trying to blend in with the rest of the crowd and hoping that no one would notice that I was back again for yet another sample. If they had offered me the entire cake, I probably could have eaten it all and not left a single crumb. The best thing I got that night wasn’t the samples, though. It was the information for where I could find the recipe to make this amazing holiday dessert myself. The source of the recipe was The American Frugal Housewife written by Lydia Marie Child in 1833. Of course, I couldn’t resist getting a copy for myself, and now it’s one of my favorite books to turn to for unique recipes and old-fashioned advice. This fruitcake is actually called “Wedding Cake” in Mrs. Child’s Book. In the early 19th century, especially in more rural areas, fruitcakes were usually reserved for special occasions such as weddings or holidays or even Election Day. These cakes were sometimes referred to as “great cakes”. Because of the more expensive and often harder to find ingredients such as spices and sugar and candied fruits, fruitcakes were not consumed on a daily basis, especially among the middle and lower classes. Housewives saved their finest and best ingredients for the most special occasions, such as a wedding or the Christmas holiday. This recipe was definitely designed to feed a crowd! Unless you’re having every uncle and aunt and second cousin twice-removed over to your house for dinner, this is a massive amount of cake, so I make a much, much smaller version of the recipe. Also, unlike other recipes for Christmas fruitcake, this one does not include the process of soaking the cake in brandy and letting it “cure” for several days or even weeks before Christmas. So, if your holiday baking is running behind schedule, you could still make this cake on Christmas Eve or even Christmas Day and have it ready in time for dessert after Christmas dinner. Note: This recipe makes one 8×8 inch pan. The recipe can be easily doubled to make enough batter for a 9×13 inch sheet cake. * I substituted lemon extract for the lemon-brandy in this recipe. Using lemon flavoring or lemon juice in place of brandy or wine was a common substitution during the 19th century. If you wish to use the brandy for this cake, though, you would soak the raisins in the brandy overnight first and then add any brandy that wasn’t absorbed by the raisins to the rest of the batter. ** Candied citron can be a bit hard to find sometimes. Most grocery stores carry it, but it’s usually loaded with preservatives and other chemical additives and it’s usually an unappealing greenish color, too. I prefer to just candy my own at home. It’s cheaper, and I like knowing exactly what’s in it. 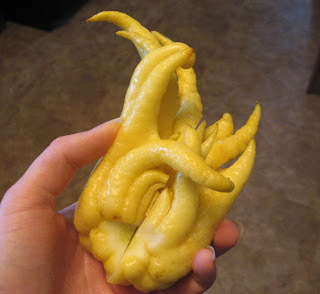 The actual citron fruit can be even harder to find sometimes, though, unfortunately. The only place I’ve ever seen it is at Whole Foods and only in December. If you can’t find citron at all, candied lemon peel would make a good substitute. I used this online tutorial to learn how to candy my own citron to go from this…. Preheat the oven to 350 degrees. Grease one 8×8 inch pan. Measure the flour into a mixing bowl and add the spices. Mix well to make sure spices are thoroughly blended in with the flour. Add the currants, raisins, and citron to the flour, making sure the fruit is fully coated with the flour. In a separate mixing bowl, cream the butter and sugar together. Beat the eggs lightly and mix them in with the butter-sugar mixture. Add the molasses and stir again. Then add the dry mixture to the bowl and stir gently, folding the ingredients together until the dry mix is fully incorporated into the wet while being careful not to over mix. Pour the batter into the greased pan and bake or about 50 minutes, or until a toothpick inserted in the middle comes out clean. Directions: In a small mixing bowl, combine powdered sugar and lemon extract and then gradually add water until the icing is the right consistency for drizzling over the cake. This cake practically bursts with holiday flavor. It has just the right blend of warm, wintry spices and the fruit adds a delicious tartness to balance out the sweetness. The texture of the cake is on the more substantial side, as was traditional for fruitcake of the era, so it’s not a light-as-a-feather type of cake. But it is a rich and decadent cake, and if you use a softer flour like einkorn or spelt, the texture will be very nice and soft and buttery. This cake is plenty sweet on its own, but a drizzle of icing makes it look pretty and adds a nice contrast to the darker colors of the fruit. And the lemon brings out the flavor of the candied citron nicely, too. After trying real, old-fashioned, Dickens’-era fruitcake, I’ve completely changed my views on this too often mocked and misunderstood dessert. I think it’s about time for Christmas fruitcake to make a comeback to remind everyone of its traditional taste of Christmas cheer! This post in linked to Clever Chicks Blog Hop at The Chicken Chick, Scratch Cookin’ Tuesday at Granny’s Vital Vittles, Family Table Tuesday at The Polivka Family, Party Wave Wednesday at Holistic Squid, Frugal Days Sustainable Ways at Frugally Sustainable, Fight Back Friday at Food Renegade. Are Low-Salt Diets Really Healthy? I adore fruitcake! The store bought ones are torture to eat, but when you make your own, and age it properly – it’s magic. My family uses the Light Orange Almond Fruitcake recipe from Canadian Living, but this year we had no money for fruit. In the nick of time (the 12th) I found an eggless 1942 fruitcake recipe – and I already had all the ingredients. I can’t wait to cut into it on Christmas Day! Merry Christmas, and thank you for spreading the gospel of fruitcake! Lol – yes, the gospel must be shared! And Merry Christmas to you too! Wow! This looks great! I wish I hadn’t already gone to the store so I could make this for Xmas. I love that you used a hand of Budda, so cool! I want to use brandy. How much would I need to soak the amount of fruit you use in this recipe? Also, would there be any need for additional brandy as you combined the ingredients? The original recipe called for half a pint of brandy, and I divided the original recipe by eight, so about 1/8-1/4 cup should be the right amount. There shouldn’t really be a need for additional brandy when you add the other ingredients since the eggs and butter usually are enough to keep the batter moist, but if notice that your batter seems a little dry or if it’s too stiff to stir well, you could always add a little bit more. Or if you want the cake to have a stronger brandy flavor, you could add another splash of brandy, too even if the texture of the cake seems fine. I have tried this recipe at my birthday. It was really so delicious. Thanks for sharing this nice recipe.